While that headline might attract the attention of anglers everywhere, it’s not a reference to landlocked salmon or brook trout. Off the beaten path, in wooded areas of the Downeast Lakes Community Forest, other vernal species are rising up, not to hunt for mayflies, but instead seeking the strengthening rays of the warming sun. 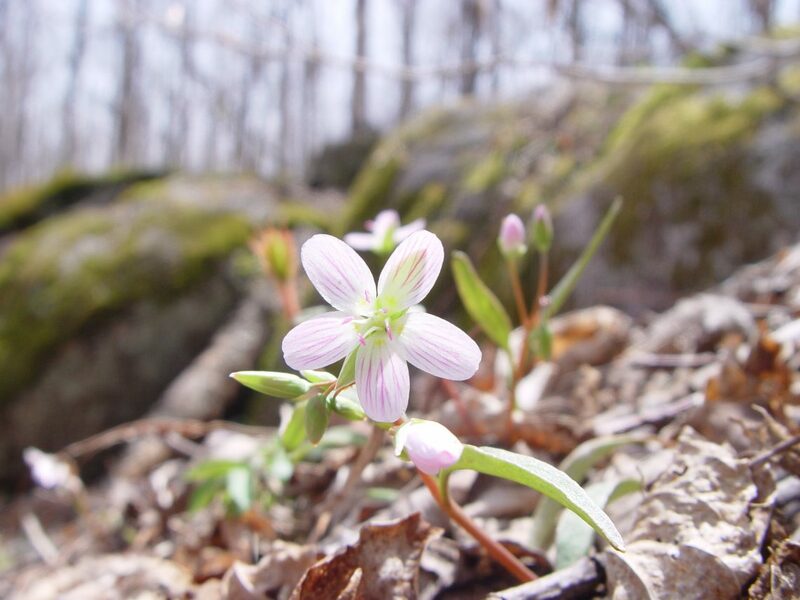 Spring ephemerals, as their name suggests, are a group of wildflowers that bloom for a very short period of time, completing their life cycle before the forest canopy closes in. These fleeting wildflowers are the first to emerge from the leaf litter. While many species appear dainty and fragile, their looks can be deceiving. Extremely low soil temperatures, wild air temperature fluctuations, limited nutrient availability, and a lack of early pollinators all are factors that make the short life cycles of these plants impressive feats of perseverance. Ephemerals are well-adapted to these harsh spring conditions, and they often delay flowering for up to eight years, waiting for the perfect time to bloom! From painted trillium (Trillium undulatum) to Dutchman’s breeches (Dicentra cucullaria), and from bloodroot (Sanguinaria canadensis) to trout lily (Erythronium americanum), spring ephemerals are a beautiful treat not to be missed during the month of May, but you have to be quick to catch them. The best way to view ephemerals is to be out in the woods often, and keep your eyes focused the ground. 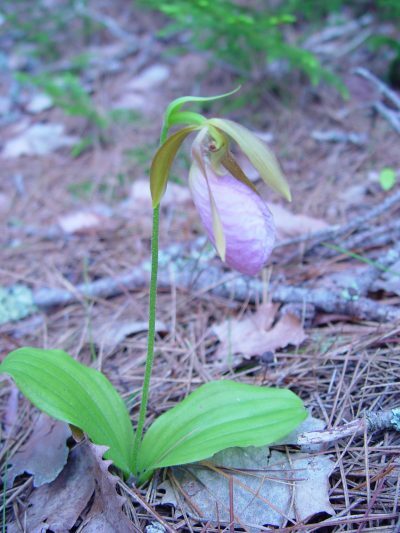 If you are interested in learning more about wildflowers, Downeast Lakes Land Trust is hosting a “Spring Wildflower Walk” on Friday, May 18th. 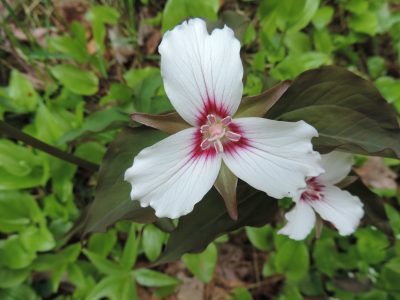 Join DLLT Education and Outreach Manager Colin Brown for an off-trail foray into the community forest in search of these elusive flowers. Interested participants will meet at the West Grand Lake dam parking lot in Grand Lake Stream at 8:00 a.m. Be sure to bring sturdy footwear, water, and a camera. DLLT will have wildflower guidebooks on hand to share. For more information, please visit the event page.